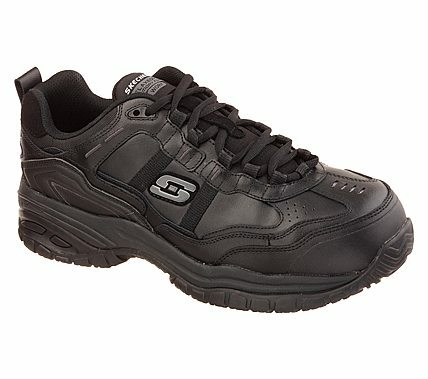 Believe in comfort and protection with the SKECHERS Work Relaxed Fit: Soft Stride - Grinnell Comp shoe. Smooth oiled suede, synthetic mesh fabric upper in a lace up sporty casual comfort work composite toe sneaker with stitching accents and Memory Foam. EC Specific design.